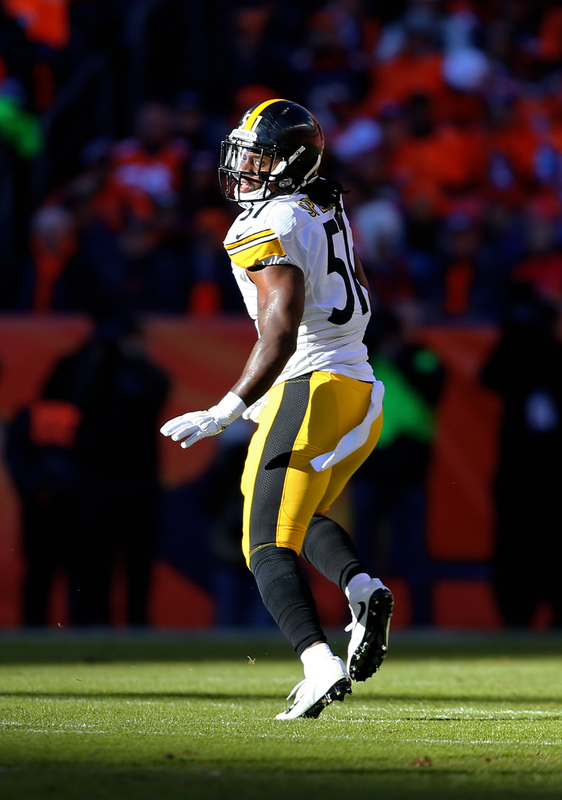 Linebacker Sean Spence is back in Pittsburgh, as the Steelers have agreed to a deal with the veteran defender, according to Ed Bouchette of the Pittsburgh Post-Gazette (Twitter link). The Steelers are in need of linebacker help after witnessing Ryan Shazier go down with a terrifying neck/back injury against the Bengals on Monday night. Details on Shazier’s status are slim, but the Steelers have released a pair of statements today, indicating that while Shazier has improved, he will stay in a Cincinnati hospital for the next 24-48 hours. Shazier has remained “upbeat and positive” and has communicated with teammates, tweets Jeremy Fowler of ESPN.com in a bit of good news. Shazier’s health and well-being are obviously the most pressing issue at present, but the Steelers also have to account for his loss on their No. 5 DVOA-ranked defense. Spence should be familiar with the Pittsburgh scheme, as he spent four seasons with the club earlier in his career. He’s bounced around the AFC South for the past season-plus, playing for both the Titans and Colts (mostly as a reserve). Although the Jaguars have been speculatively mentioned as a trade destination for Giants quarterback Eli Manning given the presence of executive VP Tom Coughlin, Manning has no interest in being dealt, as Bob Glauber of Newsday writes. “I’ve not heard [the Jacksonville speculation], I’ve not felt it, not thinking about it,”Manning said. “I don’t want to play anywhere else. I love this team, love this organization, and I want to be here.” New York, of course, won its first game of the season on Sunday night, while Jacksonville fell to 3-3 with a loss to the Rams. Jaguars quarterback Blake Bortles‘ role in the team’s offense has been severely reduced, but general manager David Caldwell & Co. will likely finish out the campaign with Bortles under center before targeting signal-caller upgrades in the offseason, as Michael DiRocco of ESPN.com writes. On the heels of their dominant first win of the season over the Broncos on Sunday night, Ralph Vacchiano of SNY pointed out (Twitter link) that Giants coach Ben McAdoo gave play-calling responsibilities to offensive coordinator Mike Sullivan for the team’s Week 6 affair. McAdoo had been a subject of criticism given the Giants nightmarish start to the season, but it looked like the change may have things turned around, at least for the time being, as New York avoided many big mistakes with the offense going to a more run-oriented approach. The team rushed for a total of 148 yards on the game, with starter Orleans Darkwa accounting for 117 of those yards on 21 carries. In another Giants twist, Dominique Rodgers-Cromartie is scheduled to report to the team’s facility tomorrow morning for a meeting/update on his status, tweets Josina Anderson of ESPN.com. The 10-year cornerback was suspended indefinitely last week for a number of events, which included walking out on a team meeting as well as storming off the field after the Giants lost to the Chargers two weeks ago. Rodgers-Cromartie was one of the best nickelbacks in football last season with him being voted to a second team All-pro by Pro Football Focus and the Associated Press in 2016-17. However, New York’s defense didn’t seem to miss the veteran defensive back all too much as the team picked off Trevor Siemian twice and held the Broncos out of the endzone for much of the game last night. The Redskins will likely work out free agent kickers this week as incumbent Dustin Hopkins battles a hip injury, head coach Jay Gruden told reporters, including Master Tesfatsion of the Washington Post (Twitter link). Hopkins — who is dealing with a partially torn hip and will miss Week 7, tweets Ian Rapoport of NFL.com — converted both of his field goal attempts on Sunday, but missed an extra point that nearly proved crucial in a tight victory over the 49ers. On the season, Hopkins has been successful on 81.8% of field goals, and both of his misses were on 50+ yard attempts. The Eagles worked out linebackers Donald Butler, Sean Spence and Jelani Jenkins today, tweets Field Yates of ESPN.com. After starter Jordan Hicks suffered a foot injury this past Thursday night, it looks like Philadelphia is on the hunt for a potential replacement. Hicks, 25, does not yet have a timetable of when he’s likely to return, and with Joe Walker being the only other middle linebacker currently on the roster, if Philadelphia was to sign a free agent, the player would stand to have a legitimate chance of getting meaningful playing time. Once again, the Colts are parting ways with Sean Spence. The linebacker has been released, according to Mike Florio of PFT. Spence joined the Colts as an unrestricted free agent in March but missed the initial cut down to 53. The 27-year-old rejoined the squad roughly two weeks later, but he’s back in the free agent pool today. He already cashed in on $750K in guarantees on the first deal, but the most recent pact was probably non-guaranteed, so the Colts are unlikely to be on the hook for anything after dropping him. In 2016, Spence appeared in 15 games (six starts) for the Titans and set career highs with 77 tackles, four tackles for loss, three sacks, three passes defensed, and one forced fumble. He finished third on the team in tackles. Spence did not record a tackle in his three games with the Colts this year. 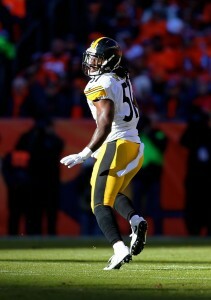 The Colts have signed free agent inside linebacker Sean Spence. To make room on the roster, Indy placed tackle/guard Denzelle Good on injured reserve. Spence signed with the Colts as an unrestricted free agent in March but missed the initial cut down to 53. Less than two weeks later, he’s back with the team. The Colts already paid out Spence’s $750K guarantee, but his new deal likely has no guarantees, making him a week-to-week player. Spence also auditioned for the 49ers earlier this week before circling back to the Colts. Last year, Spence played in 15 games (six starts) for the Titans and set career highs with 77 tackles, four tackles for loss, three sacks, three passes defensed, and one forced fumble. He finished third on the team in tackles. Last year, the Colts ranked 32nd in DVOA against the run in 2016 and placed 31st in DVOA against opposing tight ends. With some improved depth at linebacker, they’re hoping to turn that around. As linebacker Reuben Foster deals with an ankle injury, the 49ers are looking into some outside help. San Francisco auditioned linebackers Sean Spence and Donald Butler on Tuesday, according to ESPN.com’s Field Yates (on Twitter). 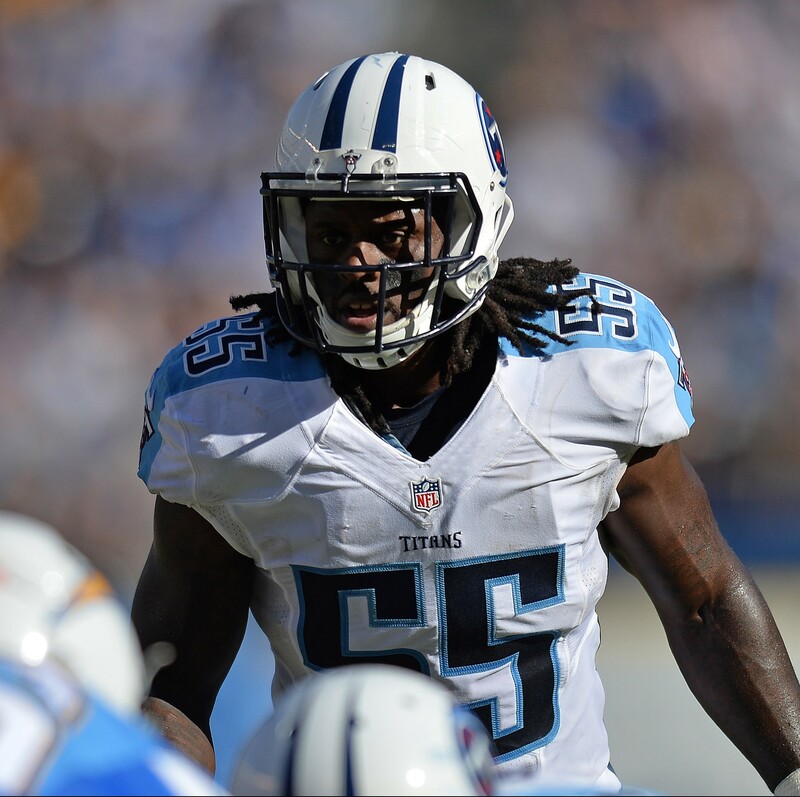 Spence spent last season with the Titans and recorded 50 tackles with three sacks in 15 appearances (six starts). He hooked on with the rival Colts in March, but Indianapolis decided to eat the $750K guaranteed in his deal rather than keep him on the 53-man roster. Spence might not be starting material, but he could be a worthwhile reserve for SF until Foster gets back on the field. Butler, a former third-round pick, spent his entire six-year career with the Chargers before being released by the team in March of 2016. He joined up with the Dolphins in September of last year and saw time in 14 games, including five starts. His 28 total tackles marked a career low and it was his first season without at least half a sack. The Saints are auditioning free agent linebacker Sean Spence today, tweets Ian Rapoport of NFL.com. Spence already joined one linebacker-needy team — the Colts — earlier this year, inking a one-year deal that included $750K in guaranteed. That wasn’t enough to keep the 27-year-old Spence on Indianapolis’ roster, however, as he was released during final cutdowns. 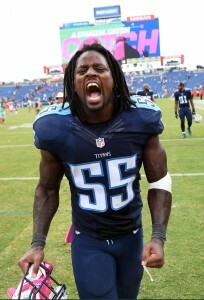 A four-year NFL veteran, Spence spent the 2016 campaign in Tennessee, where he posted 50 tackle and three sacks in 15 appearances (six starts). The Saints are expected to three newcomers at linebacker in their base package: free agent signings A.J. Klein and Manti Te’o, plus third-round rookie Alex Anzalone. While the club has depth behind that trio in the form of Craig Robertson, Stephone Anthony, and Nathan Stupar, Anthony could conceivably be dropped at any time. The former first-round selection wasn’t considered a roster lock as of last month, and while he did end up making the squad, Anthony could theoretically be traded or cut in the future. In addition to Spence, New Orleans is also taking a look at cornerback D’Joun Smith and offensive lineman Michael Person, according to Mike Garafolo of NFL.com (Twitter link) and Aaron Wilson of the Houston Chronicle (Twitter link). The Colts will release linebacker Sean Spence, according to Mike Florio of Pro Football Talk (Twitter link). Spenece, 27, was one of many Indianapolis additions on the defensive side of the ball, and looked to be a good bet for a roster spot based on salary, versatility, and experience. Spence agreed to a one-year pact with $750K guaranteed, a total that the Colts will now be forced to eat. Able to play both inside and outside linebacker, Spence looked like a viable starting option for Indy, but he’s fallen down a depth chart that also includes John Simon, Jabaal Sheard, Antonio Morrison, and Jon Bostic. Spence wasn’t a full-time starter for the Titans last year, but did play on nearly 50% of the club’s snaps, managing 50 tackles and three sacks. He boasts 46 career appearances, with 19 total starts. Tyrod Taylor, QB (Bills): Taylor earns an additional $500K if the Bills make it to the divisional round of the playoffs in 2017, which becomes $1MM if they advance to the AFC Championship, and $2MM if they advance to the Super Bowl. The same package of incentives applies to 2018 (via Mike Florio of Pro Football Talk). Jared Cook, TE (Raiders): Two years, $10.6MM, $1.6MM in incentives (effectively a one-year $5.3MM deal with $800K in incentives) (Twitter link via Ben Volin of The Boston Globe). Luke Willson, TE (Seahawks): One year, $1.8MM, $1MM in incentives (Twitter link via Aaron Wilson of The Houston Chronicle). Kayvon Webster, CB (Rams): Two years, $7.75MM. Salaries of $2.75MM (guaranteed), $3MM. $1MM 2017 roster bonus guaranteed, $500K 2018 roster bonus guaranteed. (Twitter link via Wilson). Sean Spence, LB (Colts): One year, $2.5MM. $750K signing bonus. $500K in incentives (Twitter link via Wilson). Kendall Wright, WR (Bears): One year, $2MM. $250K signing bonus. $2MM in incentives (Twitter link via Wilson).